“Back” to what I was saying: I found them. In case you’re looking for them too, they’re at Rio. 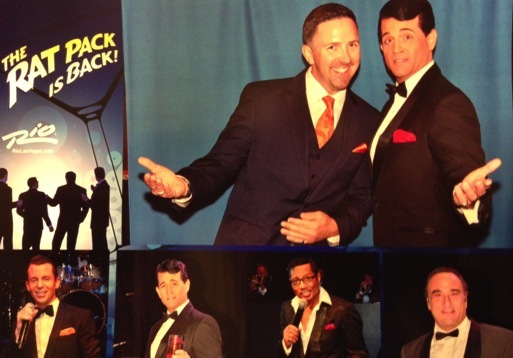 Boldly, stylishly and in true rambunctious form, as sure as you’ll cash out too late, The Rat Pack Is Back! I imagined a Dean Martin Las Vegas dinner roast for my 40th, and thankfully I got as close as I could get. Suffice to say, this “classic” performance did not disappoint.